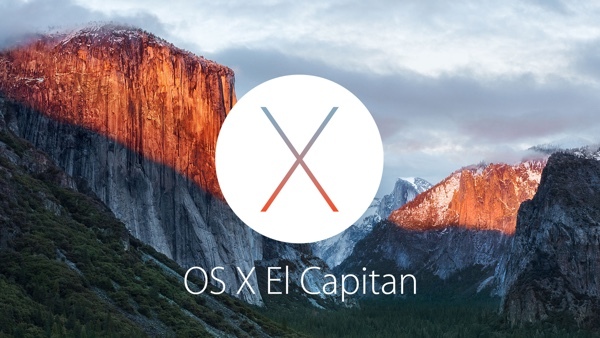 Mac OS X El Capitan has been announced. Features, release date and every other detail about Apple’s newest release is detailed below. 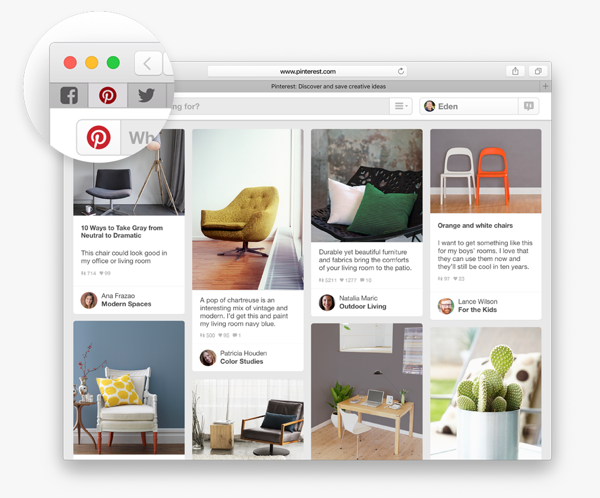 You can now pin browser tabs in Safari by simply dragging them to the left to where they will be pinned. These pins are always active in the background, and up to date, ensuring that you don’t miss a single update. Watching a video in Safari and want to AirPlay it without sharing your entire display? 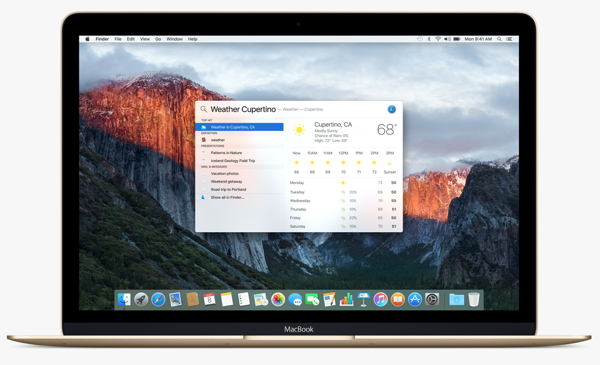 With the new version of Safari that ships with El Capitan, you can do just that. We’ve all been there; wanted to mute everything in Safari while not silencing our Mac entirely. 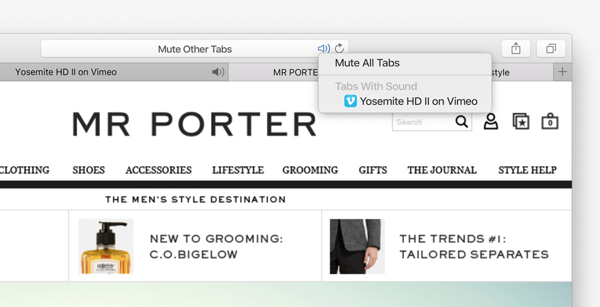 The latest version of Safari in El Capitan lets you mute your tabs on the fly. This can be achieved directly from the Smart Search field in Safari. The new Spotlight search features a natural language engine, which means that you can type in your search queries just the way you’d say them, and Spotlight would still return you the perfect result. To wrap things up on the Spotlight side of things; the improved utility now has more sources under its belt, which in turn provides you with even more detailed results. 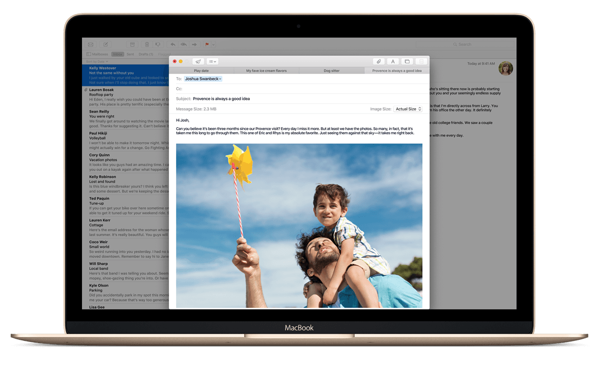 The new Mail app in OS X 10.11 features a much more advanced full-screen mode that ensures that focus sticks to your incoming messages, nothing else. 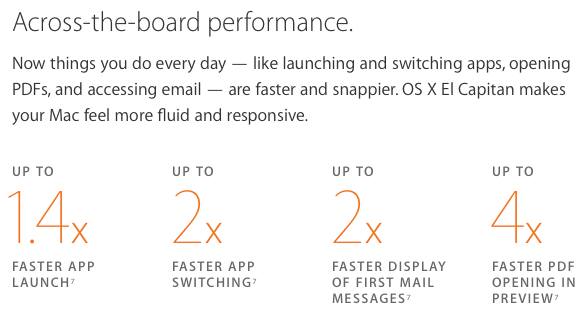 El Capitan’s Mail app takes a few cues from its iPad counterpart as well in terms of UI elements. Mail also lets you add events to your calendar in a single click, which means your dandy new email client in El Capitan knows what needs to go where. Love those swipe gestures to take actions on a mail message in iOS? Guess what? Those very same swipes have made it to OS X. Want to get rid of an email messages? Just swipe it away! 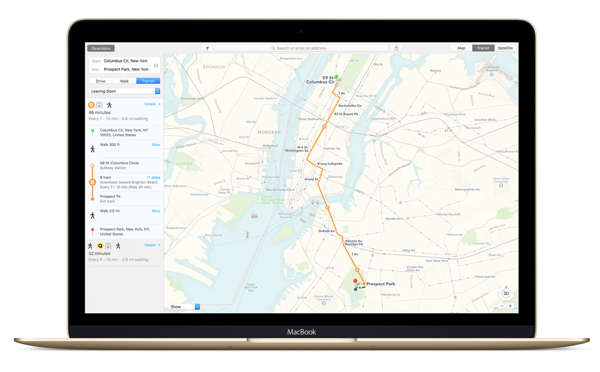 Just like iOS 9, the new Maps app in OS X El Capitan also features transit information, helping you to get easily from point A to B, and you also have the option to get transit directions on your Mac and pick them up on your iPhone in a few simple clicks. 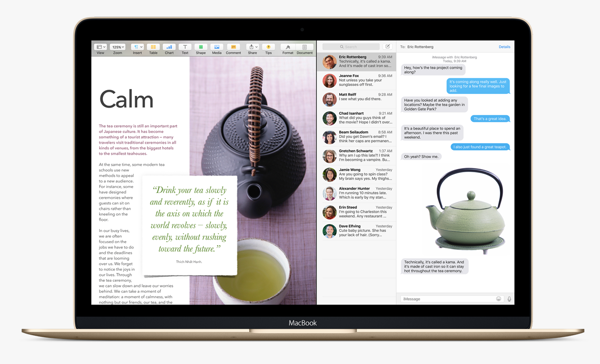 There’s a brand new Notes app in OS X El Capitan, and works just like the one found in iOS 9. It’s far more richer, powerful and there are features that let you take control of your notes in a snap. You can quickly transform a list into a checklist, add photos and URLs to a note, and best of all; since the new Notes app utilizes iCloud as well, hence everything is synced across devices. 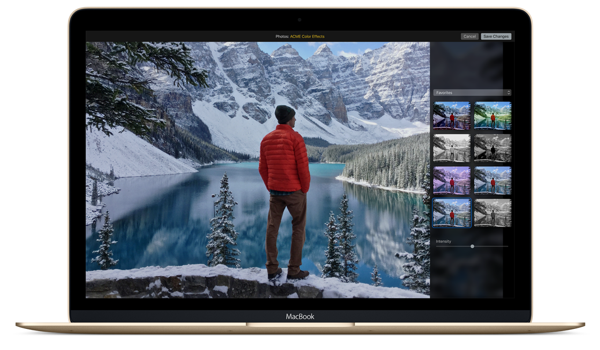 The Photos app is great in what it does, and Apple has sought to take it even further with OS X El Capitan. The new and improved Photos app now lets you integrate editing tools from third-party apps, so you don’t have to jump into another app to make small edits and whatnot. Apart from that, Photos has been slightly tweaked to make photo management more easier than before. The new Mission Control in El Capitan ensures that every window is arranged properly when you want to glance at it, and nothing is hidden from view. Two windows can now be arranged side by side and the sizing of the windows will be done automatically. Similarly windows will display a Microsoft Windows like snap behavior when user rearrange them. 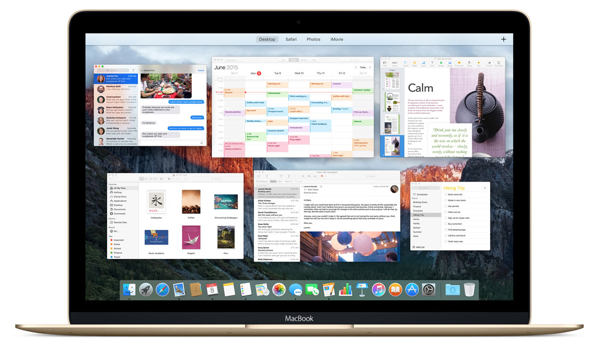 Apple says that OS X El Capitan is much faster than OS X Yosemite, and apparently it’s twice as fast when it comes to switching apps, and about 1.4 times faster when launching new apps. The technology that enhanced gaming development on the iOS platform is now coming to the Mac as well, promising a huge round of improvement for future games on the platform. 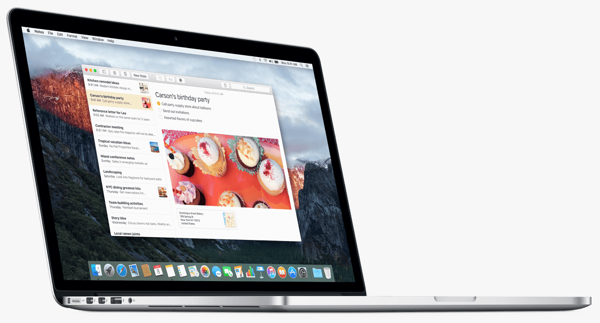 OS X El Capitan will be available for public release this fall, whereas the first beta of the new desktop OS is available today. Man, I was still hoping for Mac OS X Weed. Oh well, can’t win them all I suppose. Wow dat naming convention. I thought it was a spoof title at first. Window snap is a great feature. Are they just trying to make every version more awkward to say by name? Great side-by-side snap feature. About time. Didn’t Mac OS X already have a multiple desktop function? Just a handful of minor improvements? Is that really all? And on top a name that would better suit some sleazy cartoon? Why there is no more root features?????? ?